Bamboo Airways, a Vietnamese startup airline, is pretty bold when it comes to their expansions. Despite only flying for a few months now, they’ve got an aggressive plan to become one of the largest carriers in Vietnam. Bamboo Airways has expanded their order for A321neo aircraft. Now, it will take delivery of no less than 50 A321neo aircraft. The A321neo is a narrowbody aircraft good for short and medium-haul flights. Seating up to 240 passengers, this aircraft would give Bamboo Airways the opportunity to launch routes to Japan, Singapore, and South Korea. In addition, for the future, destinations as far as India and parts of Australia are also possible. For Bamboo Airways, this could give them the opportunity to add frequencies from their hubs. Or, perhaps, it could enable new routes from Vietnam to connect with far flung destinations. Vietnam is a growing tourist destination and additional flights from Bamboo Airways would more than definitely be welcome. This order is an expansion of their previous memorandum of understanding they signed with Airbus. The previous memorandum consisted of 24 A321neo aircraft. 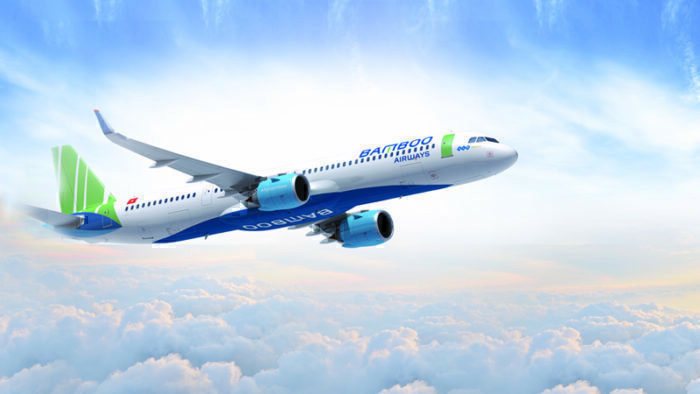 With this new order, Bamboo Airways has more than doubled the number of A321neo aircraft that will enter their fleet. Presently, the carrier operates A320 family aircraft including the A319 and A320 variants. It is likely that these aircraft will eventually be replaced with A321neos. This new order comes after Bamboo Airways ordered Boeing 787-9 aircraft with the intention of starting routes to Europe and the United States. Initial destinations, as mentioned by FLC chairman Trinh Van Quyet, include Paris and Berlin from Hanoi. In addition, it seems like San Francisco may also be another destination Bamboo Airways wants to serve. Now that Vietnam has a Category 1 rating from the FAA, it makes the launch of nonstop service to the US far more likely. The 787-9s will be in a three-class configuration, with four suites in First Class, 24 reverse herringbone seats in business class, and 274 passengers in economy class. This means Bamboo Airways will be fitting a dense 302 passengers on their 787-9s. 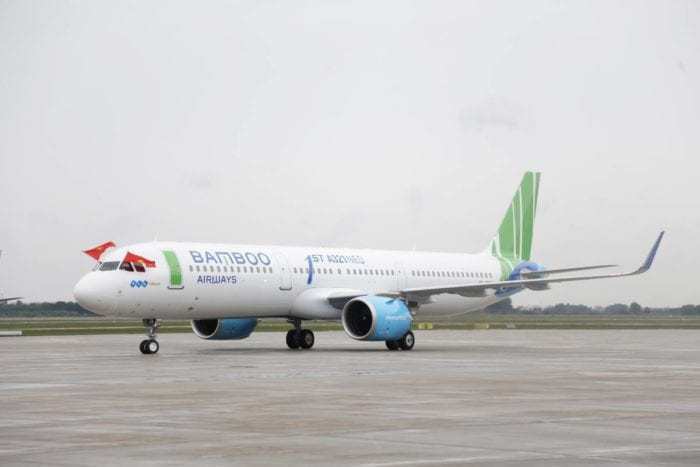 Bamboo Airways will likely use the A321neo to connect passengers to FLC resorts throughout Vietnam. The carrier is owned by FLC Group, who have a series of hotels and resorts throughout Vietnam. Bamboo Airways is looking to take a major share of the Vietnamese tourist market with this new order. As Vietnam’s low-cost carrier market expands, Bamboo Airways will face much competition and it looks like they are trying to get ahead of the game with this A321neo order. We’ll have to see how Bamboo Airways’ expansion plans play out, but check back at Simple Flying for more information! Do you want to fly Bamboo Airways? Let us know in the comments below! perhaps , you need to know the difference with an order and a commitent . 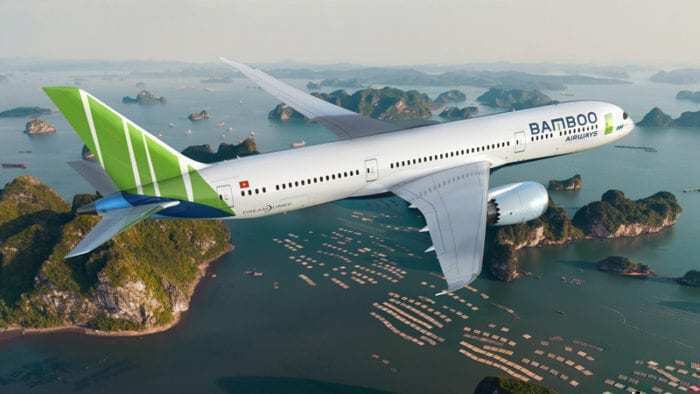 ..
Bamboo Airways signed an official order for a total of 50 A321neo aircraft with Airbus on Thursday, March 28, 2019.